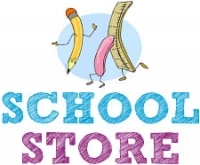 Black Elementary's school store is open on Fridays from 10:30-11:30. All items are $1 - $4. All proceeds go to the purchase of more library books for all students. If your child is unable to purchase during these times, they can use the order form to order what they would like and items will be delivered later in the week to the classroom. Checkout the link order form PDF below to see items that are currently available. Margaret Black Elementary, in partnership with students, parents, and community, is dedicated to providing a positive atmosphere for motivating and challenging students to become contributing citizens and lifelong learners. The Margaret Black Elementary community will develop meaningful learning experiences that inspire students as they evolve as lifelong learners and contributing citizens.